We have read your thoughts and we have ready to deliver today a large selection of our most common radiators and sizes. 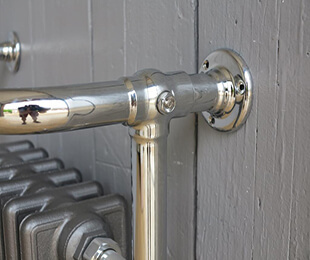 We are proud to be able to offer you this exclusive range of high quality Bespoke Carron Cast Iron Radiators. Cast Iron Radiators are now an essential centrepiece that serves a functional purpose as well as being a stylish accessory to complement any interior. 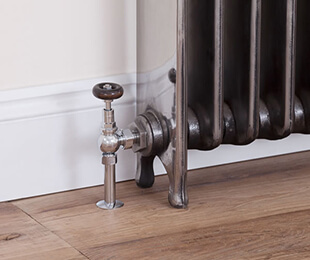 To compliment this range of Cast Iron Radiators we can offer a choice of either Thermostatic or manually operated Radiator Valves, all of which are available in a selection of finishes. A choice of Radiator wall stays and Sleeve Kits are also available. All of our cast-iron-radiators are brand new, fully tested to BS EN442-1 & BS EN442-2 and have a manufacturer’s guarantee for ten years. The Cast Iron Radiators are supplied ready assembled and are pressure tested to 8 bar. 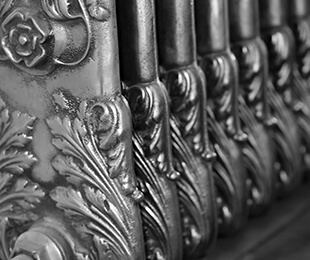 The castings we use in the manufacturing of our radiators are superior to many of the other cast iron radiators on the market today, many of which have chinese stampings and the year of manufacture clearly visible on every section. 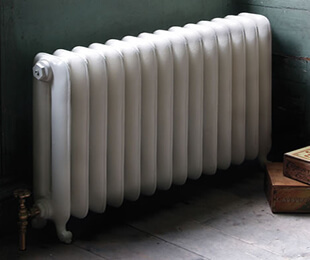 If you are unsure to the size of radiator you need, try using our BTU calculator. Simply input the room dimensions and it will calculate the correct number of BTU’s the radiator must generate in order to correctly heat your room. 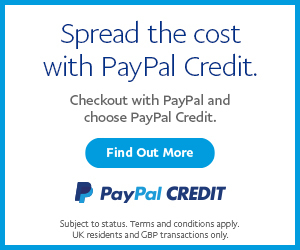 All radiator prices include VAT. Delivery of our Traditional Victorian Cast Iron Radiators will be arranged for a mutually agreed day and is kerbside only. All measurements are approximate and may vary slightly. We do endeavour to ensure that all colours are as accurate as possible. If you require a radiator greater than 20 sections long please call us.